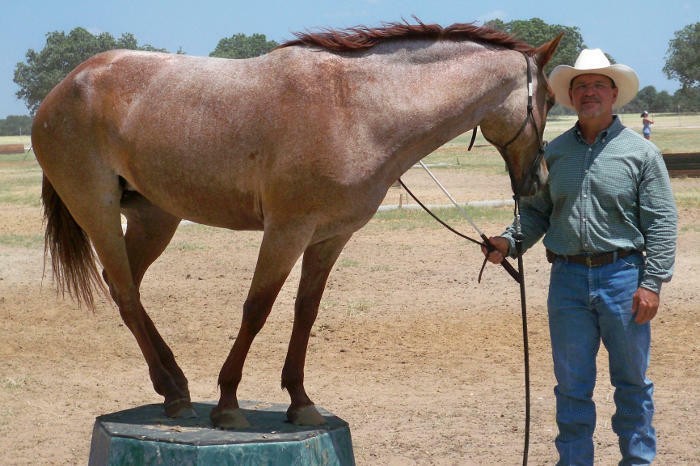 Horsemanship Clinics by Keith Andries - how to get started. 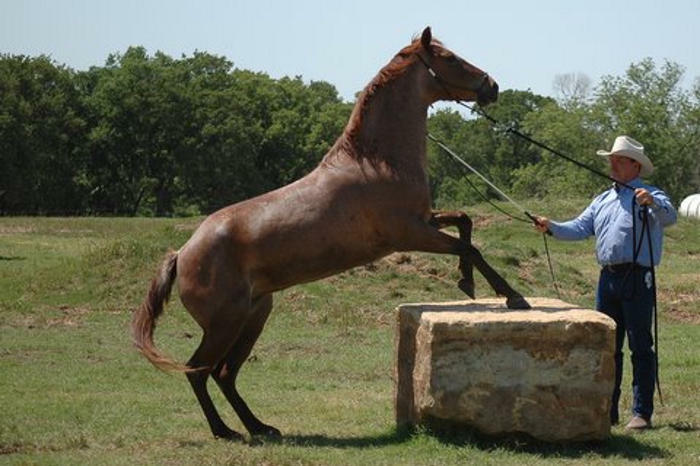 Sign up to attend a horsemanship clinic by Keith Andries! 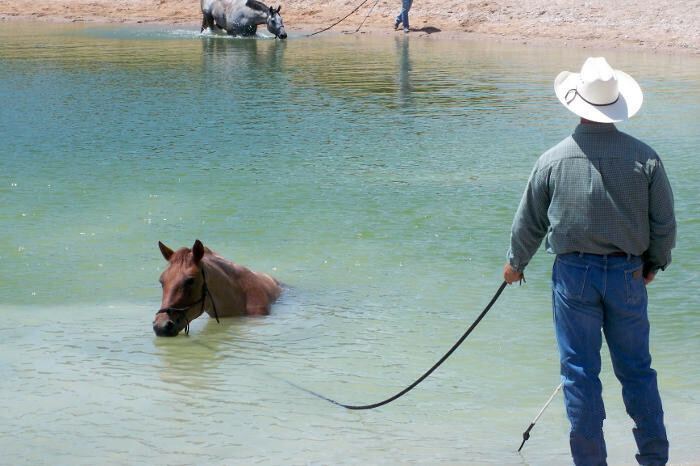 Whether you want to do a one or two-day desensitizing or troubleshooting clinic, or spend 10 full days working on your horsemanship skills, it's easy to get started. Take a look at the horsemanship clinics schedule to choose the scheduled clinic that works for you, or if you have a particular date in mind, or a particular problem area that you'd like to work on please see our individual horsemanship clinics or Despooking/Desensitizing clinics pages to let me know how I can help. Also, feel free to use the contact page to contact me directly. LEADERSHIP: In the horse world, like it or not, someone has to be the leader. Not necessarily the boss, but rather someone with the horsemanship skills to make choices based on sound logic and experience that can be trusted not to put their horse in harm’s way. DIRECTION: With leadership comes the necessity to determine the direction that will be taken. In the case of you and your horse training, I am talking about who decides which way, and how fast we will get where we are going. DISCIPLINE: Horses do not always agree that we should be the leader, nor will they automatically like the direction and rate at which we choose to go to our destination. For example, trailer loading or trail riding through thick brush. It is up to us to use a firm, calm, and consistent hand to provide the necessary discipline to remind, or convince them, that our way in the end will be the easiest and safest way to proceed. Calmness and consistency will take us a long way in achieving the discipline our horse needs to get to the next level. RESPECT: Having proven to our horse that we will take the responsibility of being the leader, choose the direction, and if necessary offer a disciplined approach to training, they will begin to honor our request and offer a more respectful attitude and posture toward our horsemanship. TRUST: Having gained their respect by providing Leadership, Direction, and Discipline, your horse will trust you when you ask them to do something unfamiliar such as overcome new obstacles, ride through busy intersections, unusual weather conditions… you can make your own list. 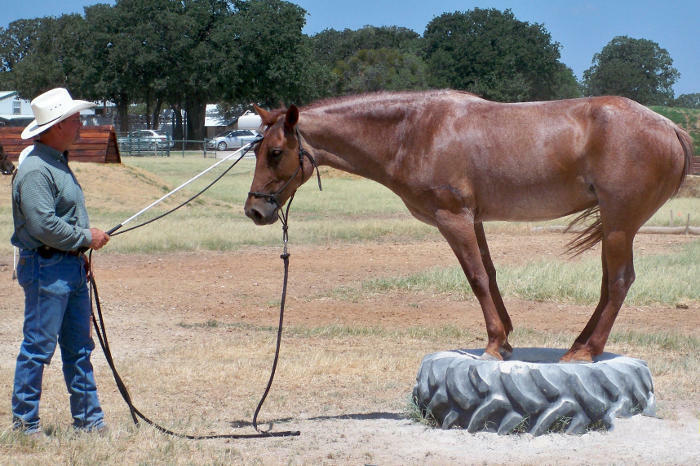 Initially, your horse may still have fear associated with something new, but with proper training, preparation, and patience he will persevere. COMPANIONSHIP: Whether you choose to show your horse, compete in endurance or trail challenges, or you prefer trail or recreational riding, most of us want the companionship that having a horse provides. 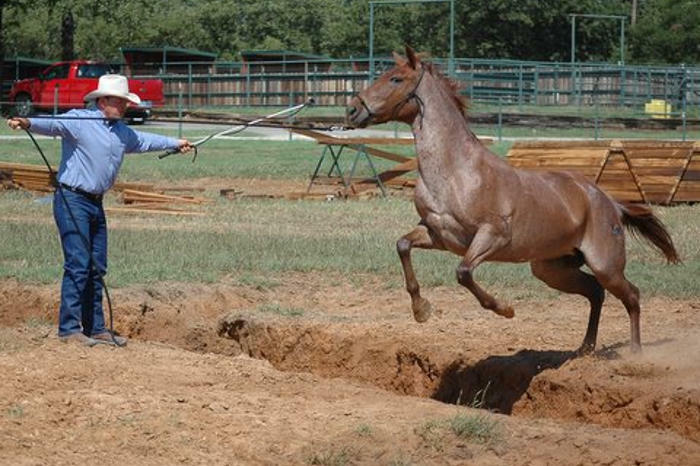 This can be the ultimate achievement for many of us as a result of attending a horsemanship clinic with Keith Andries. Horsemanship Clinics by Keith Andries - what can I expect? The Experience. I promise that the experience had by participating in Horsemanship Clinics by Keith Andries will eliminate some bad behaviors you may have just grown accustomed to and it will reward you and your horse with a respectful, trusting bond you never knew you could have. Something amazing and unexpected happens when you give your horse the leadership, direction and disciplined training it needs. Come see for yourself, and have The Experience. 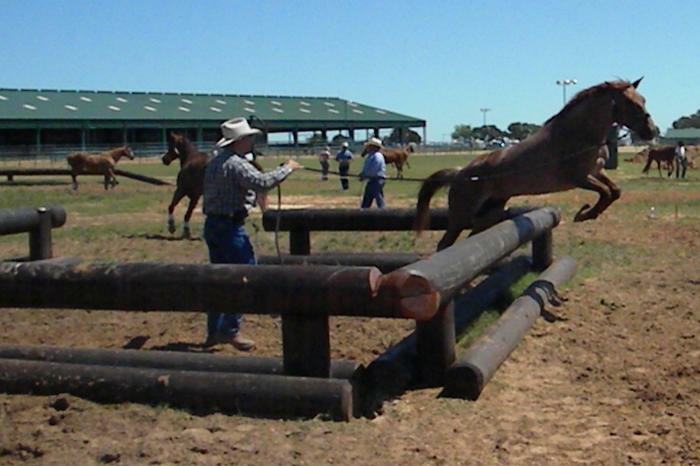 Get signed up now and begin your experience with Horsemanship Clinics by Keith Andries!